Says that LanPeru will deliver my bag to my hotel today. So the future will tell today in Cusco. 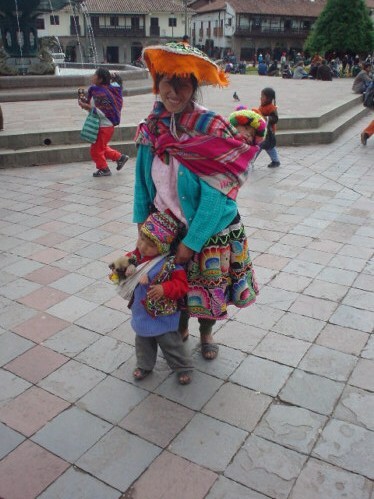 This is a photo beggar more less in the Plaza de Armas or the central square of Cuzco, probably half dressed up to get photos taken and money, nonetheless very cute. 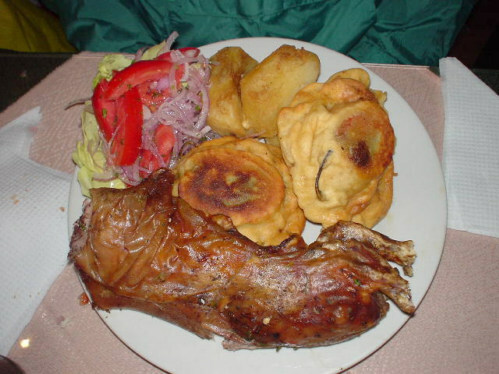 Photo of Guinea Pig or Coy as they call it in Peru, in Peru in the nicer restaurants you can eat Guinea Pig, Joe did not seem to like the pig, but was a good sport, as best I know the only place to buy is in the more expensive tourist restaurants, as I have never seen a local eat the stuff.